On Tuesday I went to listen to wildlife film producers Patrick Morris and Huw Cordey tell their stories about the making of the BBC series Life and Planet Earth at the Royal Geographical Society in London. They told stories of rats and leeches, caves and deserts, rivers and jungles. 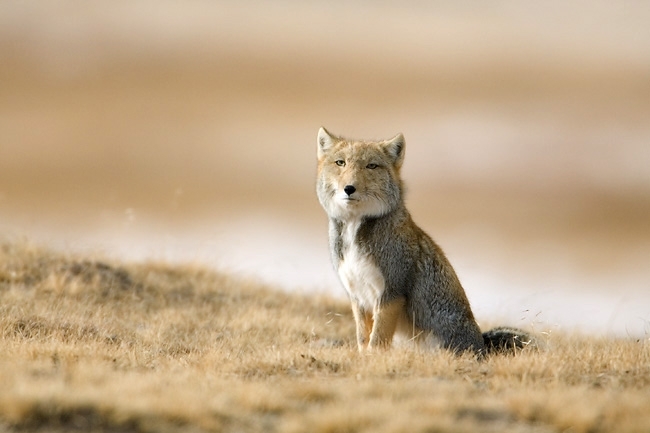 We saw the Tibetan fox with a strangely square head, watched monkeys in a hot tub at Hells valley in Japan and were wowed by breathtaking aerial shots of sand dunes covered in snow. Patrick and Huw’s brief with Life and Planet Earth was to raise the bar on previous wildlife films. They were tasked with enthralling the audience with epic cinematography and capturing the beauty and wonder of the planet in which we live by weaving stories around central lead animal characters to make the audience care about the wildlife they were watching. They highlighted the importance of failure, how you need to have money to take risks and fail in order to push boundaries. They shared some of their failure stories, featuring eccentric Frenchmen in hot air balloons and giant trees (you may also imagine how that played out). What struck me most was watching them effortlessly present, enthrall and capture the hearts of the audience, simply because they were talking about something they were passionate about. Their enthusiasm and passion was infectious. Can you say that about the work that you do? I hope so. As if Patrick and Huw were not enough, he event was introduced by Sir David Attenborough. And I got to meet him. Which was very exciting as he is one of my lifetime heroes. (Not that I had anything intelligent to say because I was too much in awe). Thank you Patrick, Huw and David for your curiosity about our planet and the animals that inhabit it, and for inspiring the audience this week. Big thanks also your teams who fearlessly venture with you to some of the most remote places and tolerate extreme conditions in order to capture, share and inspire more of us to learn about the planet on which we live. The event was organised by Epilepsy Action in memory of Octavia Morris who died age 27 as a result of her epilepsy. This entry was posted in BBC Life, BBC Planet Earth, childhood, conversation, DAvid Attenborough, deep sea, Epilepsy Action, ethiopia, failure, fish, Inspiration, Life and Death, story, travel and tagged Attenborough, BBC, charity, Epilepsy Action, failure, fundraising, Huw Cordey, life, memorial, Patrick Morris, Planet Earth, Royal Geographical Society, Tibetan Fox. Bookmark the permalink.